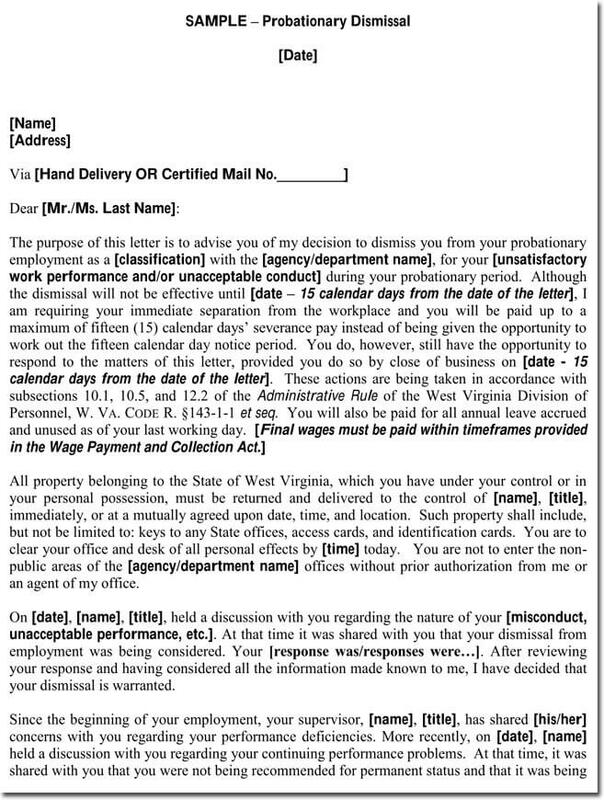 An employee termination letter is the inevitable result of sub-par work, often after multiple warnings. 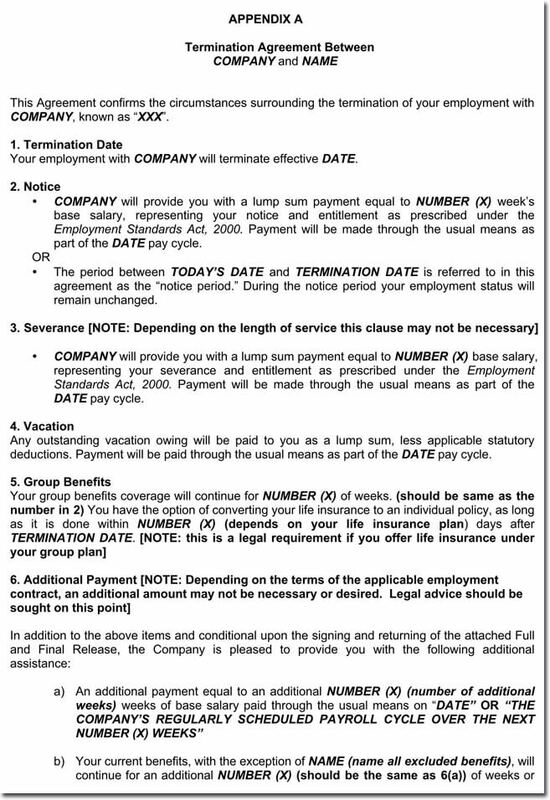 In this type of letter, the date of termination and information about last paychecks are typically included alongside the reason for termination. 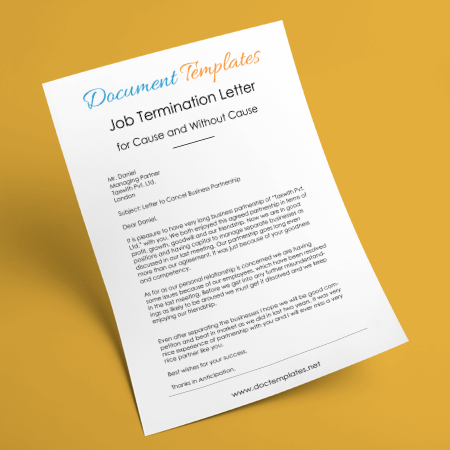 Of utmost importance, these termination letters are to the point, professional, and nonabrasive. 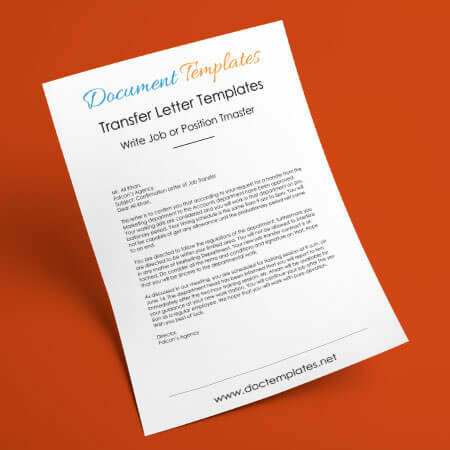 Free sample templates are provided for guidance. 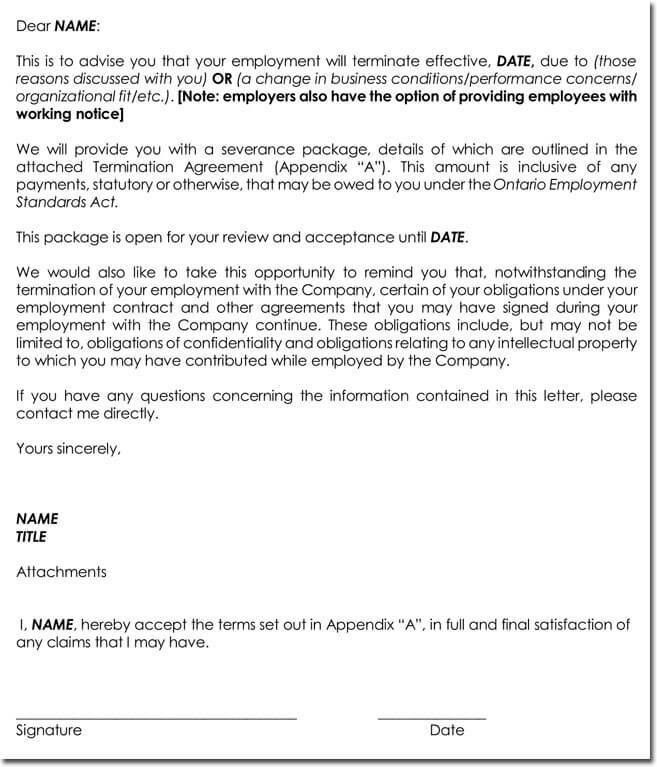 The decision to fire an employee for depleting quality of work is in consideration of the greater good of the company. 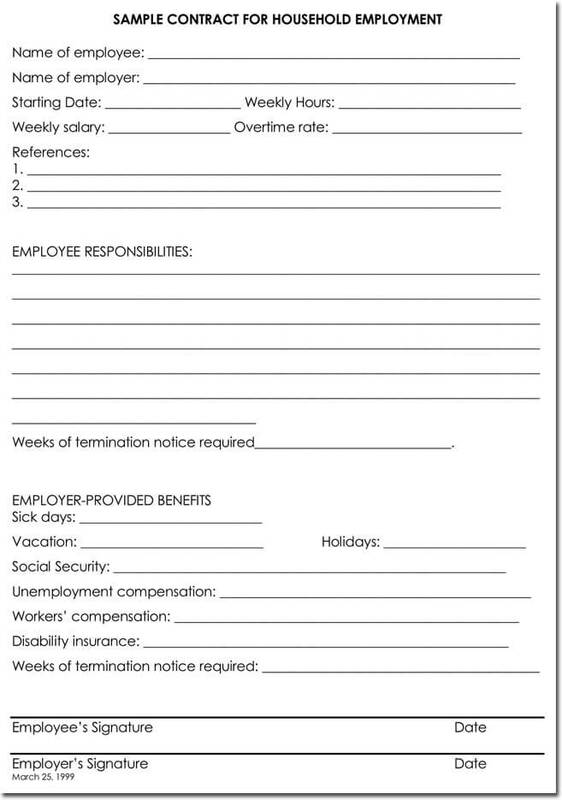 Since the act of being fired naturally harbors a harsh reaction, the termination letter must not set any grounds for a lawsuit. 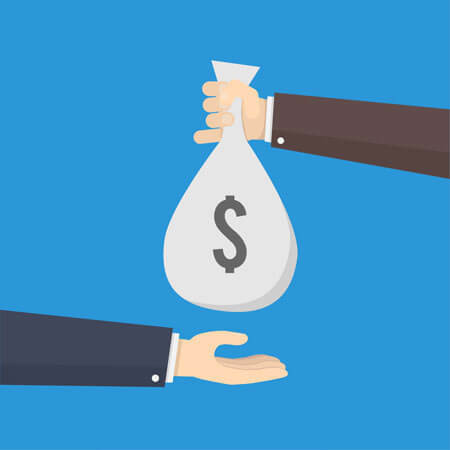 Consequently, the tone cannot be personal or launch any personal attack on the employee in precaution of retaliation. 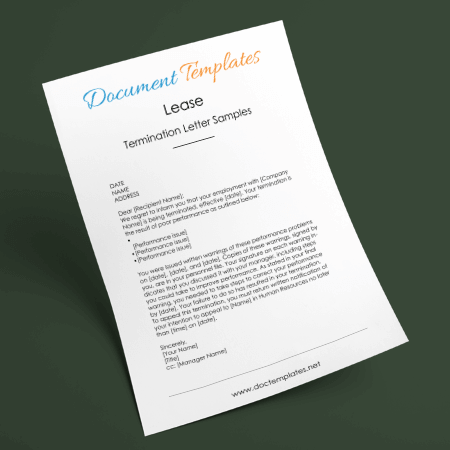 The fragile nature of job termination makes it incredibly useful to use a template or observe samples before beginning to construct a termination letter. 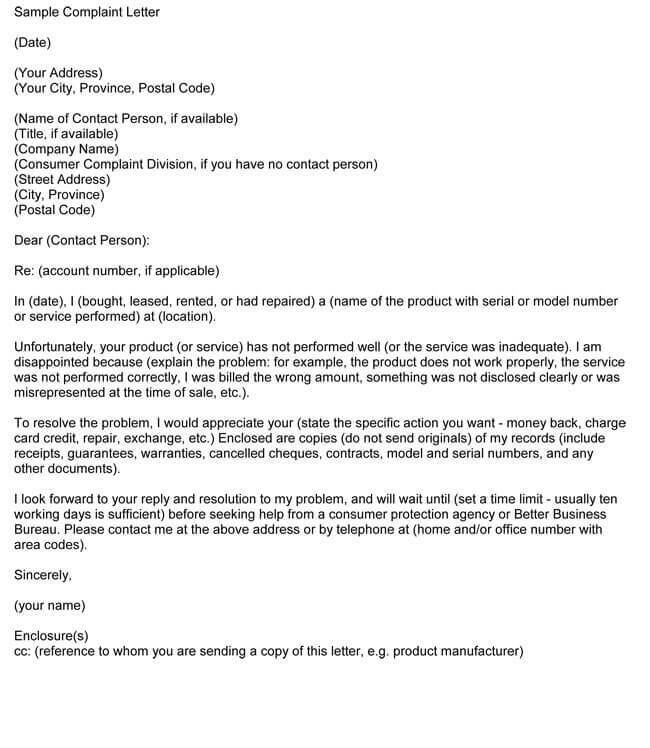 Sample letters will provide examples of the tone of voice required and what should be included within the letter. For instance, the letter should include a simple reason for termination along the lines of consistently poor performance and lack of improvement (Related: Termination letters for poor performance). 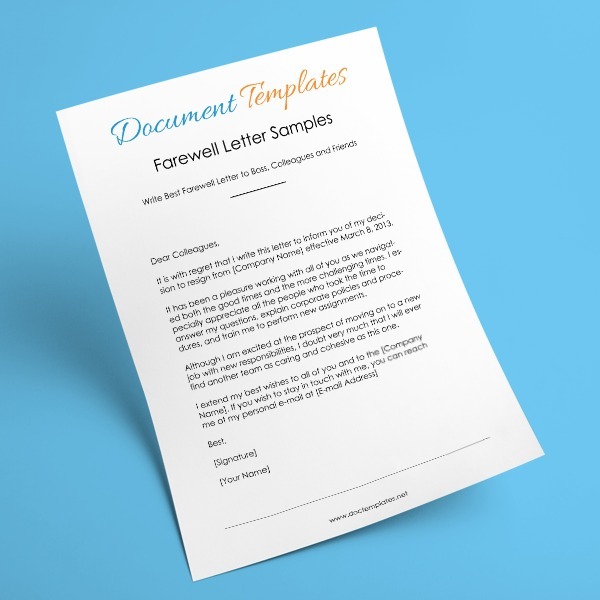 Although undoubtedly negative, it remains important to avoid excessive negativity and to end the letter with positivity for the employee’s future and thanks for their work. 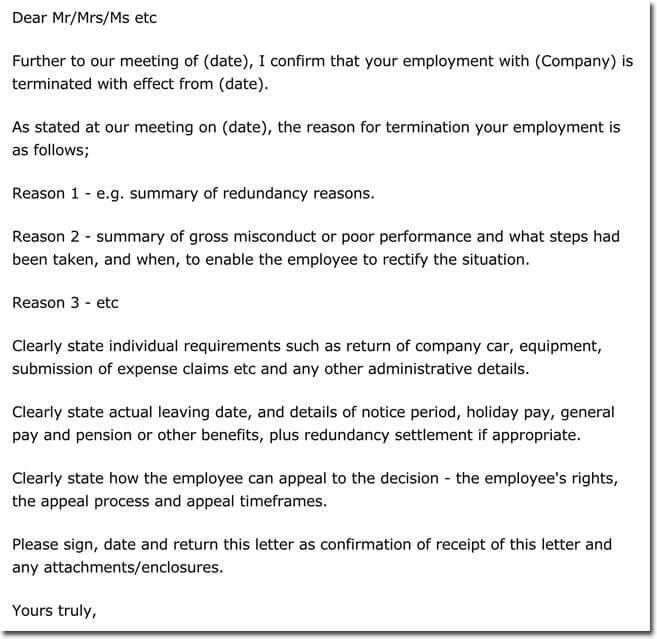 Once again, samples outline the necessary points to hit and demonstrate how concise a well written termination letter should be. 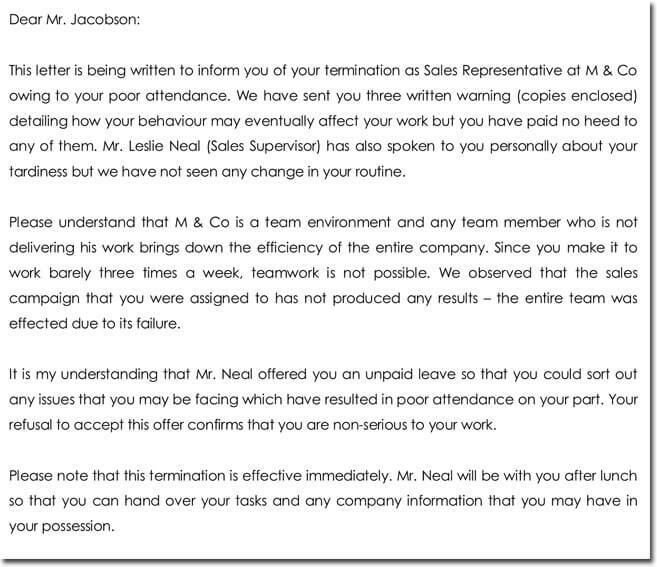 Quite simply, the letter’s purpose is to inform the employee, not to insult. 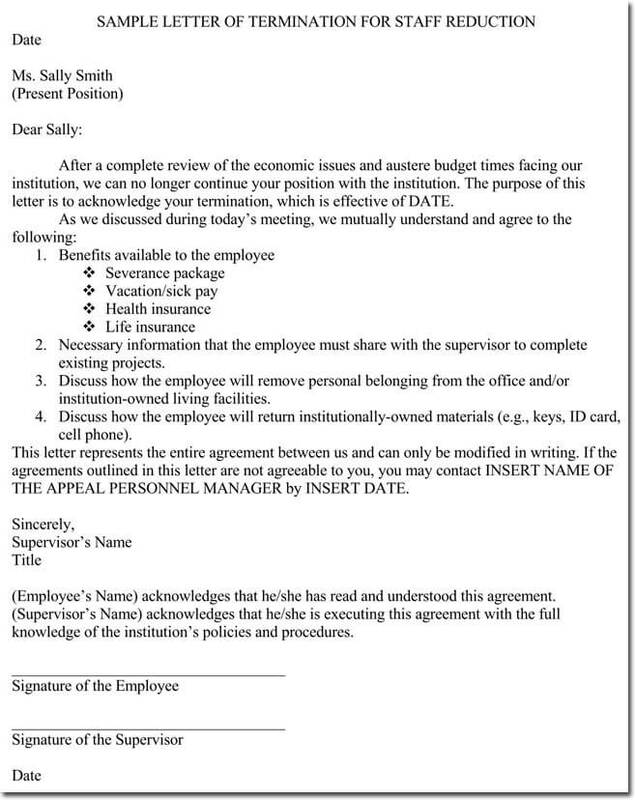 Letting an employee go is hard on both ends. 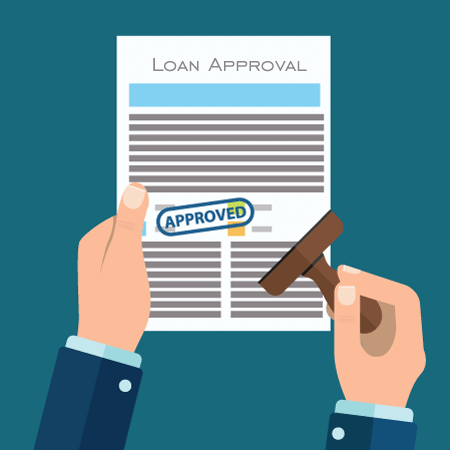 However, the process should be clear cut and uncomplicated. 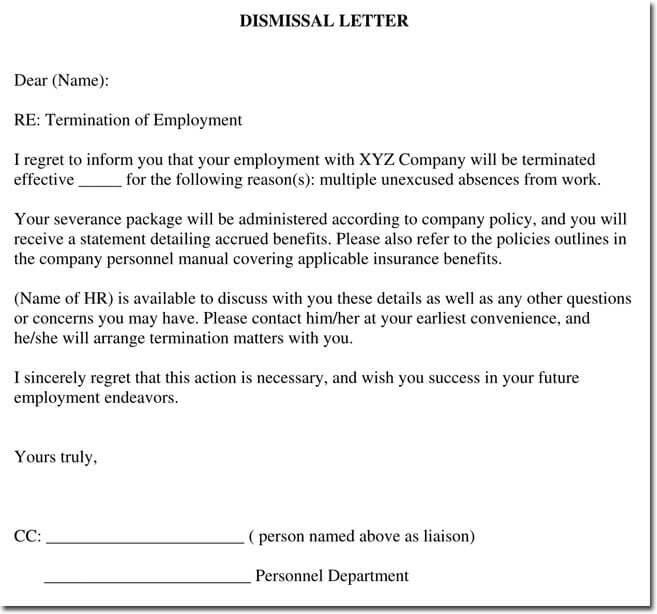 A job termination letter, in addition, should reflect this as well. 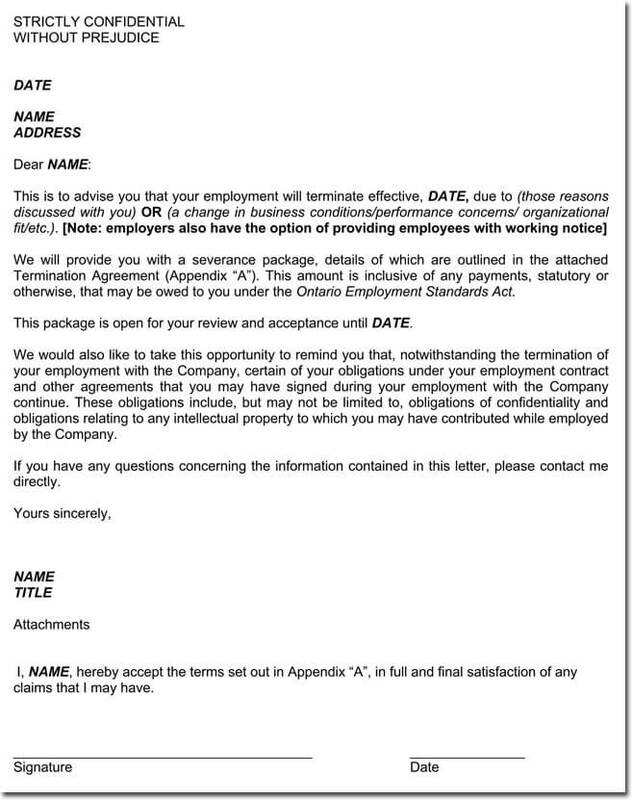 Its mission is to plainly and professionally explain an employee’s termination–provided samples serve as a great outline. 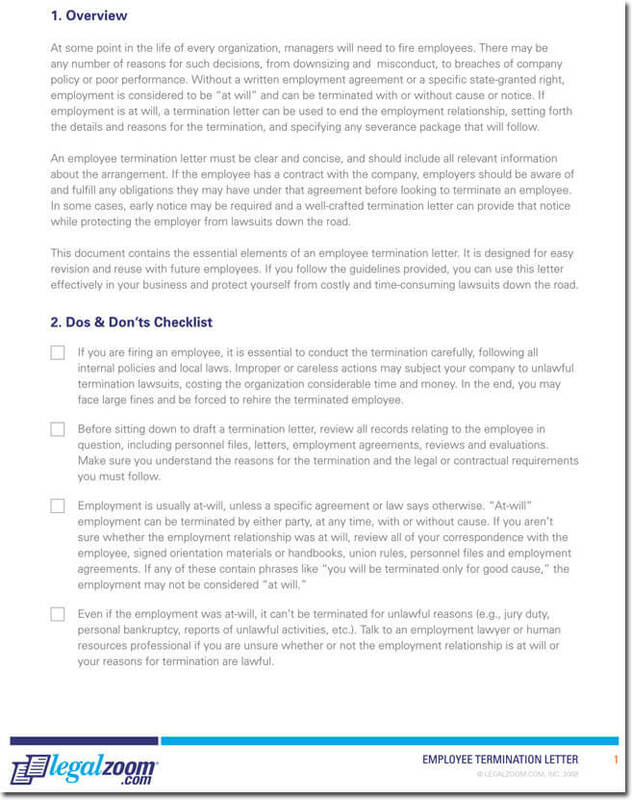 Even in the most extenuating of circumstances, an employee termination letter must remain consistent, avoiding common mistakes and including what is integral.